You have seen that in previous example, We havn't type even a single line of Code. 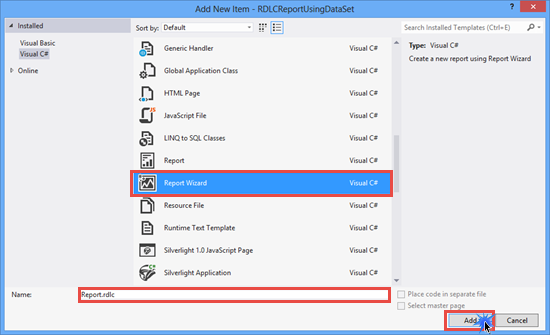 In this Article, we will create RDLC Report using DataSet and type few lines of code for filling the DataSet with Data and use that DataSet as a ReportDataSource. 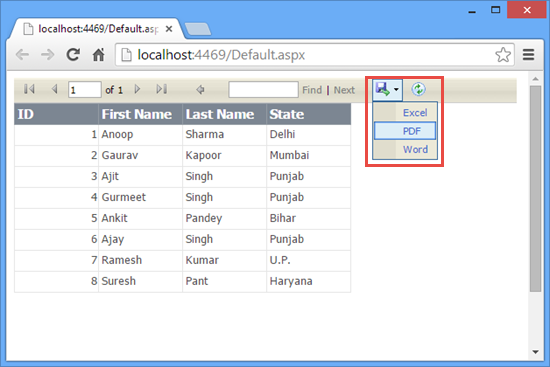 For demonstration, I have created a database (named as Sample) and created a table tbl_Employee in it. The following is the table design for creating tbl_Employee. Add some records to tbl_Employee. I have attached the script of the database along with the source code for download. 3. You will see Empty DataSet. 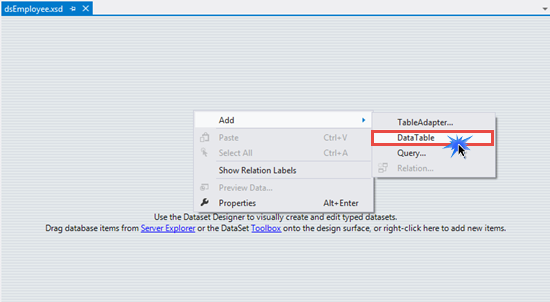 Right Click on the DataSet -> Go to Add -> Select DataTable. 4. Right click on DataTable and Add the Columns name. 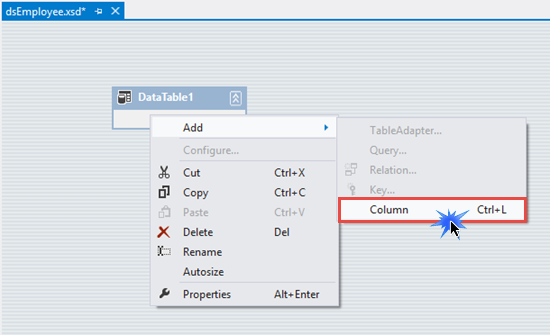 Column Name must match with the Name of Column added in the the tbl_Employee. 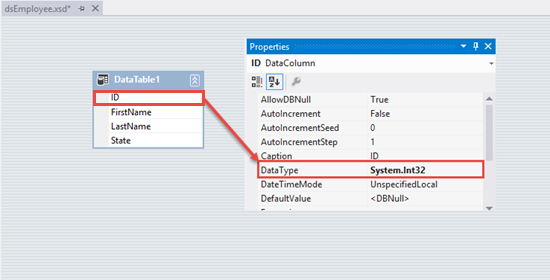 Set the DataType of Each column same as declared in tbl_Employee. Save the DataSet(i.e. dsEmployee). 5. 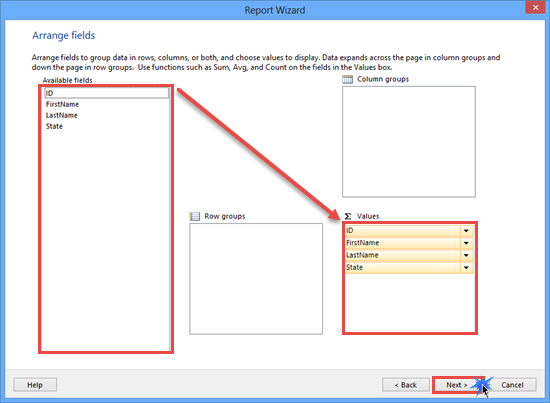 Right Click on Website -> Add new item -> Select Report Wizard -> Click on Add. 6. 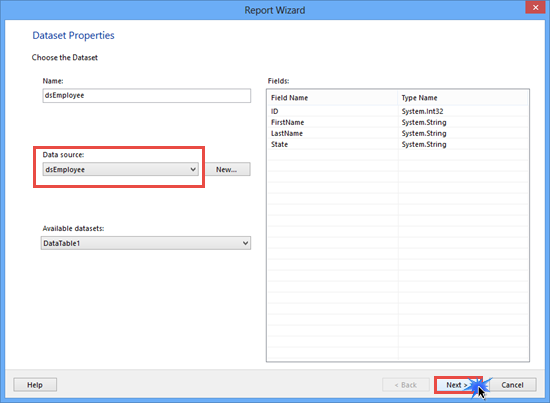 Now the Report Wizard opens. 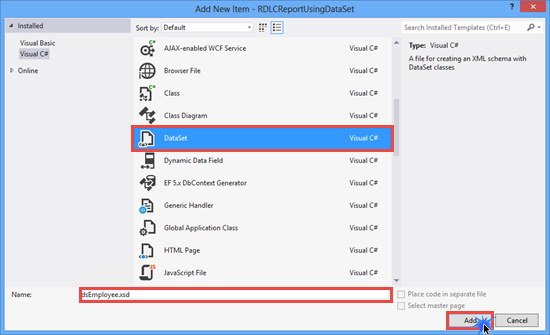 Select the DataSource as Dataset (i.e. dsEmployee). 7. Drag and drop the required fields from the Available fields into the Values section. Click on "Next" because we didn't want to display a subtotal in our report. 8. 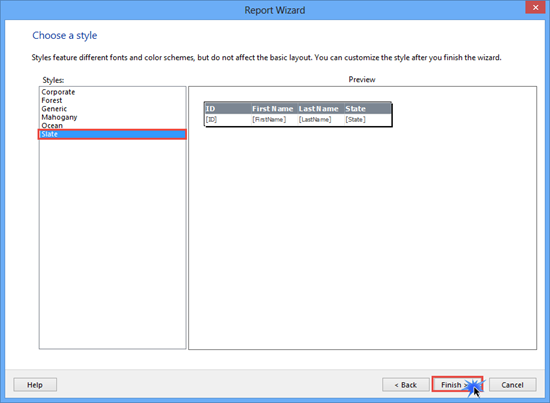 Choose a style for your report then click on "Finish". I have selected Slate as the style for my report. You will see the report named Report.rdlc is created. 9. 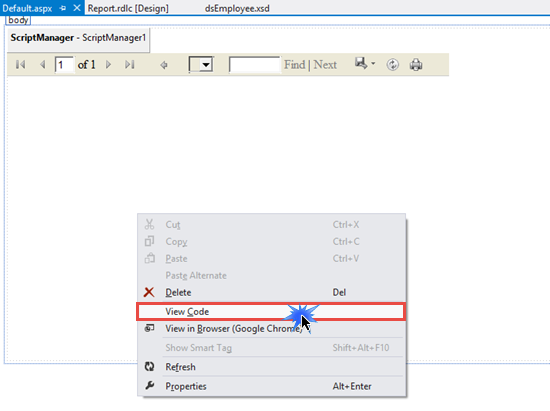 Add ScriptManager and ReportViewer Control on a Webform. I have added them on Default.aspx. Now Go to the Code behind file of Default.aspx Webform. 10. 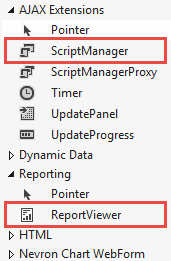 Add System.Data.SqlClient and Microsoft.Reporting.WebForms namespace(contains methods and properties for the ReportViewer Web server control). After that add the following code in Page_Load Event of Default.aspx. 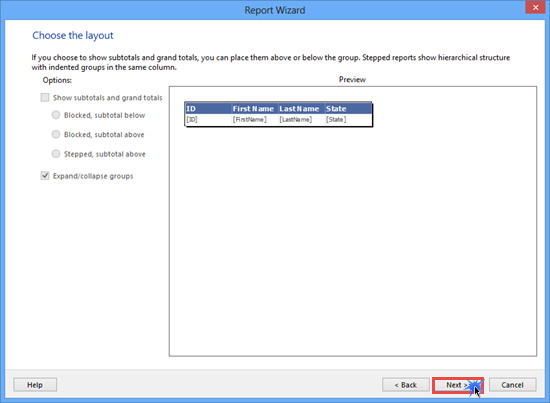 Click on the Save Button in the report and save the entire report in PDF / Excel / Word format.